We are located in the neighborhood often identified as “Fat Apples” or “St. Jerome’s of El Cerrito”. We invite you to join us at one of the several masses offered and to share the “good news”. Sunday 7:30, 9:00 and 11:00 a.m. 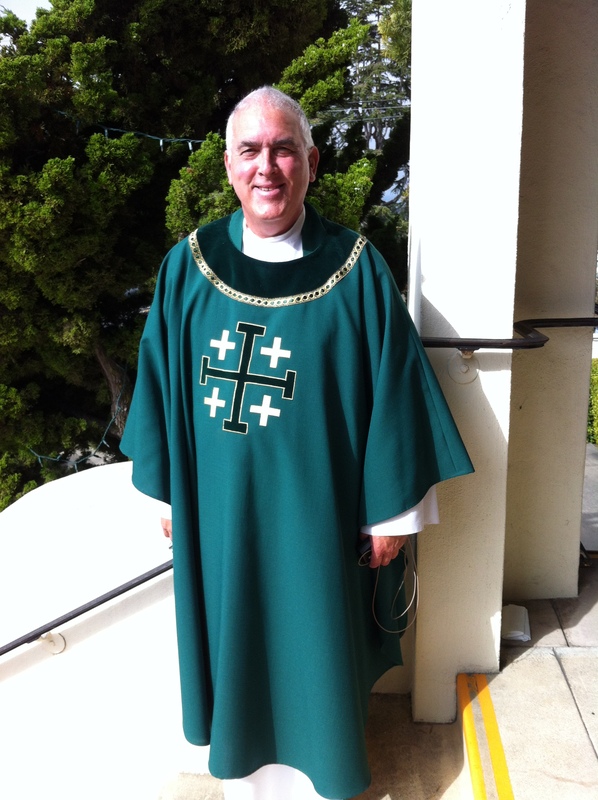 Weekdays including Saturday morning 8:30 a.m..
St. Jerome Catholic Church is a parish community serving Kensington, and portions of El Cerrito, Berkeley and Albany. The parish boasts an active Saint Vincent de Paul conference, a variety of social activities throughout the year, and a music ministry at all four weekend Masses. Our parish offices are located on the ground level floor of the Rectory. St. Jerome was founded in 1941, grew in size throughout the post War boom and has an established, stable congregation. New arrivals in town are encouraged to join our worship, social and service activities. If you are interested in learning more about Catholic Christianity, or want to join the Catholic Faith tradition, we invite you to join the Rite of Christian Initiation of Adults, a year-round process of education and discernment. The RCIA is a great way to reintegrate as a “returning Catholic”.